Well we all start out somewhere, and this is where my trip down the digital mapping lane started out, some ten years ago. It might not be exactly ten years ago, but something like that is probably true. But in one way this trip started out even earlier than that. I still remember when I was 15 years old and I bought the adventure Svavelvinter (Brimstone winter) for the Swedish RPG Drakar och Demoner (Dragons and Demons). It was the first part in a series of adventures that told the story of the fifth conflux, a specific moment in time that would give the person who controlled it the power to change the order of the world. 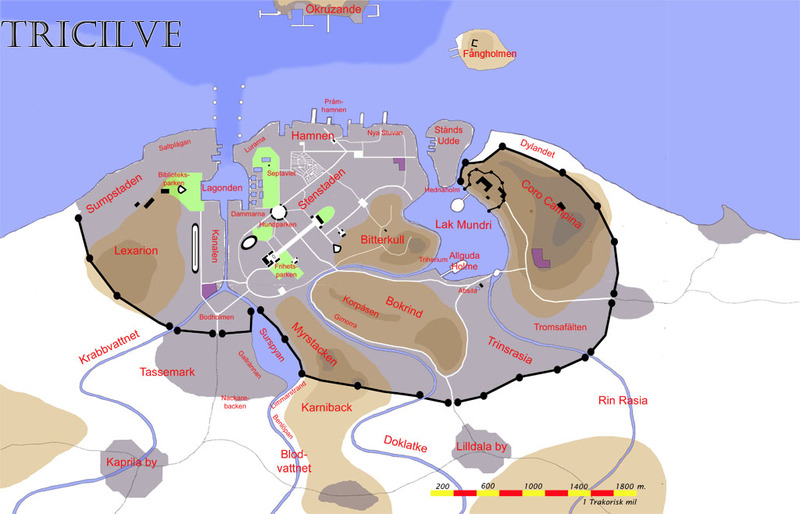 One of many places that the adventurers visited in the series was the city Tricilve, the capital of the country Trakorien. A large city that was as corrupt as Rome ever was during the Roman republic. So a very good place for some great adventures. Some years later, you have to fast forward some 15 years, I got to know Erik Granström, who once wrote those adventures. From him I learned that he was writing a book in the same setting as the adventures. After some discussions we agreed on that I would make a map for him of Tricilve that he could use as help while writing the book. At this moment in time I didn’t really know much about digital mapping, but I had an old Wacom tablet that I used and a copy of Photoshop. As you can see in the map it is quite crude, and I do wish that I one day would have the time to do a new version of it, just to see the progress of my mapping skills. But the map filled its purpose, Erik had some great help of it while writing the book, and since Fria ligan (a Swedish RPG company) released the RPG Svavelvinter, based on the book that is based on the RPG adventure, there is actually an updated version of the map. 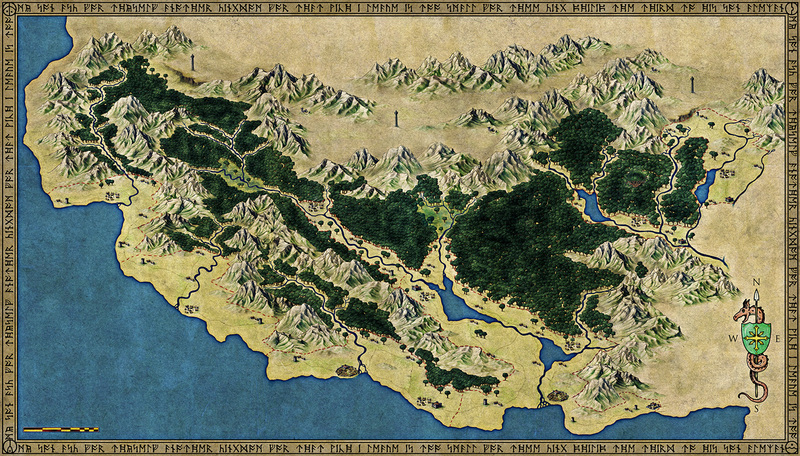 However I’m not the one who made it, but I wish it was because it is a very lovely map.